When you consume a fruit and vegetable drink, you’re exposing your teeth to the acids that come from these foods as well. Over time, these acids can cause staining and erosion damage to your teeth. 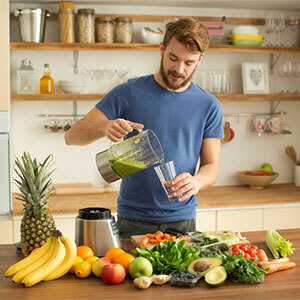 Many people notice that their teeth feel sticky or rough after juicing for more than a couple of days. Thankfully, Dr. Zohreh Rasouli at Oyster Bay Orthodontics has a few easy tips to help maintain great oral health while drinking yourself to a better you. Filed under Blog by Dr. Zohreh Rasouli on Feb 1st, 2019 .